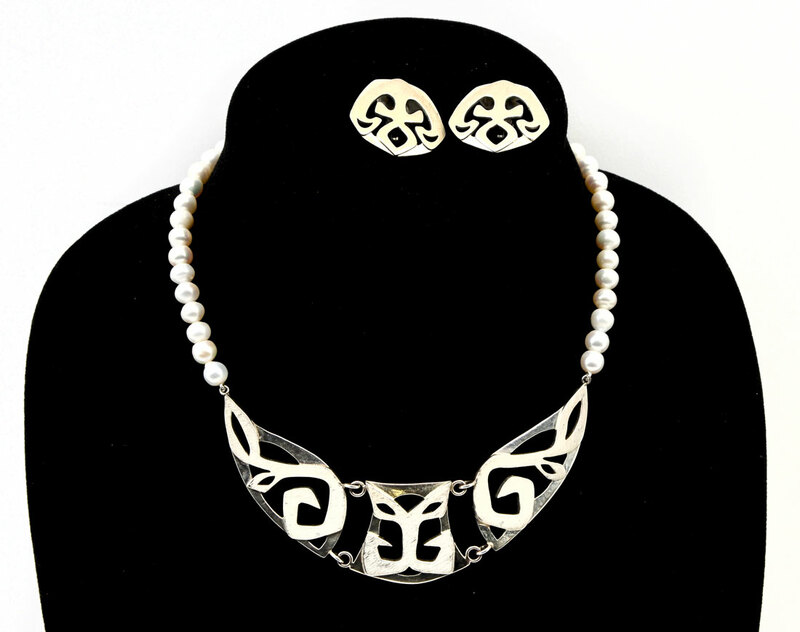 JOHN AGEE STERLING & PEARLS NECKLACE AND EARRINGS: A single strand of pearls connects to a 5'' sterling creation with matching earrings. 15.5'' long. Marked J.A. 925. John Agee is American born and educated and lives in Paris.